Instagram is a tremendous tool for marketing. But only if you know how to use it correctly. Anyone can set up an Instagram account and soon after get some results from it, but only those who fine-tune their strategy and use it in the best way possible will be able to reach their true potential. Before we begin, let’s look at some statistics to learn just how powerful Instagram really is. Instagram currently boasts over 700 million active users. Now, obviously, you won’t be able to reach all of them, but seeing that Instagram have so many users, you’ll most likely be able to find individuals in your target audience on the platform. More than 80 million photos are being shared every day. In no other place do you see that many visuals being shared every day. Instagram is the king of visual content, which means you have to share top-notch content in order to stand out. 27.6% of the US population used Instagram in 2015. This is a significant number. This just goes to show just how big of a part Instagram plays in a lot of people’s lives, and if you can take advantage of that and reach, even just a tiny portion of those individuals, you can get incredible results. A strategy will tell you what you are going to do, and how you are going to do it. 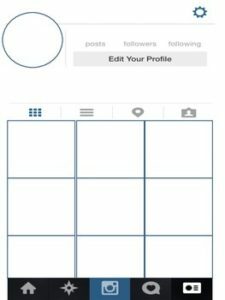 Jumping into Instagram without a strategy is like building a house without a blueprint. It’s possible, but the result probably won’t be very good. Creating a strategy will take some time, but by creating one, it will save you time long-term. Where are they to be found? What branding and messaging do you have/use? What the objective of the social media initiative? Without a solid foundation, your building will start to crack sooner or later. This point is mentioned everywhere, but that’s because it’s vital to social media success. Your profile is probably the first thing people will see when encountering your brand on Instagram, and therefore, you want to make it as presentable and attractive as possible. Write a fun and appealing bio to peak interest, add your website link to make you look more credible, convert your Instagram account to a business account if you haven’t already, and add call-to-action buttons. Most importantly, don’t forget to add a profile picture. As a brand, you’ll want to use your logo as this helps people instantly identify your business, not only on Instagram but across all your other social media platforms where you also should have your logo as a profile picture. Having your logo as your profile picture also lets you build brand-awareness and make people associate your brand with your logo. Hashtags are extremely powerful on Instagram. More powerful than most social platforms, so make sure you use them! Did you know that posts with at least one Instagram hashtag average 12.6% more engagement than posts without a hashtag? When using hashtags, you need to make sure that you are using the right hashtags. There are many online services that provide you with complete “hashtag lists” with the top hashtags on Instagram, but if you are after real marketing results, those type of hashtags aren’t something you should use. 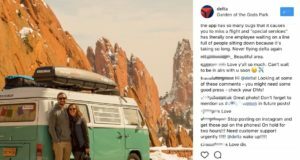 The top hashtags on Instagram are heavily used by bots that will auto-like all the pictures on the platform. This leads to many people believing they work very well while the truth is that it is bots that like their posts. If you want to reach people in your target audience, you need to use specific hashtags related to your niche that will let people find your content, engage with it, start following you, and ultimately become customers. The maximum hashtags you can use in an Instagram post is 30 so why not take advantage of it? Create a few lists with 30 hashtags that you can copy and paste depending on what type of content you share. As we touched upon in the beginning of this article, 80 million posts are shared every day on Instagram. This means that you have to sharpen your blades, fine-tune your camera, improve your editing skills, and strengthen your content strategy. The competition of your audience’s attention is tough, but to win the battle, you need to share content that is unique, interesting and high-quality. When it comes to the number of posts to share each day, the number varies. As you probably have understood by now, quality goes before quantity, however, quantity is also something you should think about. By only sharing one quality piece each week, you won’t reach your true potential, and your audience risk forgetting about you. While different studies say different numbers, the truth is that no page is the other like, which means the recipe for success is experimenting. The studies should be viewed at with a pinch of salt, but they can also be used as a starting point. Related: How often should you post on Instagram? A golden rule when trying to balance quality and quantity is to not let quantity go before quality because if it does, it might harm your Instagram success and the presence you’ve built. While there are many, and I mean many ingredients that go into Instagram marketing success, engaging with your audience is extremely important. At least, doing so has helped me grow a total of 600K+ Instagram followers. Some people have completely missed how Instagram works, and let me tell you, it cost them. It’s called social media for a reason. You’re meant to be social! The people who miss this thinks that Instagram is about being too cool to respond to comments or messages, but it couldn’t be further from the truth. When you have people who constantly comments and engages with your page, eventually they’ll get bored and go to your competitors if you aren’t responding to them. Commenting on a post without getting a response back is like talking to a wall. Except, when talking to a wall, you might actually get some echoes back. When engaging with your audience, you build your relationship with them and increase the trust they have to you and your brand. And as you might know, trust is the single most important thing when making a sale. Make sure you are always responding to your comments, no matter if they’re just a thumbs up emoji. In that way, you dramatically increase the chances of them continuing to comment, and becoming loyal supporters of your page and brand. Having a strategy – both content strategy and a strategy telling you how you’re going to execute, you’ll have an easier time knowing what you should achieve your goals. The strategies will help you run your Instagram based on facts and studies and not based on your own beliefs, thus resulting in better results for the same effort. Because Instagram is a visually driven platform, the content you share plays a vital part in Instagram success. Make sure that it is fine-tuned to perfection so you stand out from the crowd. Last but not least, make sure you engage with your audience because doing so will make them come back for more and be more engaged in your brand. 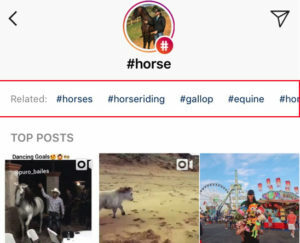 Thank you for posting all of these very helpful Instagram tools! It is just what I needed to get going.